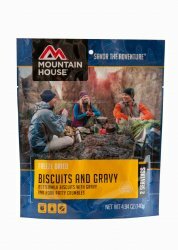 Mountain House Biscuits and Gravy  - $6.49 : Trail Explorers Outpost, Keeping the Adventure Alive! Buttermilk biscuits and gravy with pork patty crumbles. It'll be the easiest biscuits and gravy you've ever made. 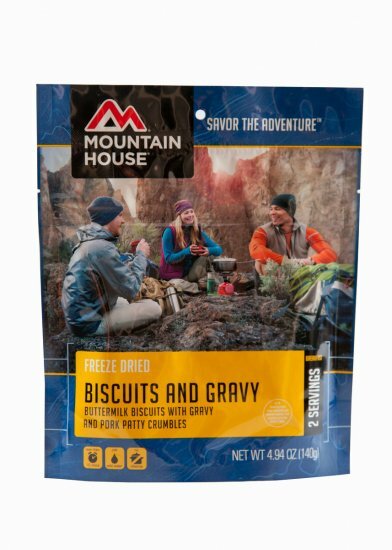 With just-add-water preparation and no-mess cleanup, Mountain House is not only the perfect camping or backpacking food, but also for keeping on hand just in case of an emergency. Additionally Mountain House meals have incredible shelf life. 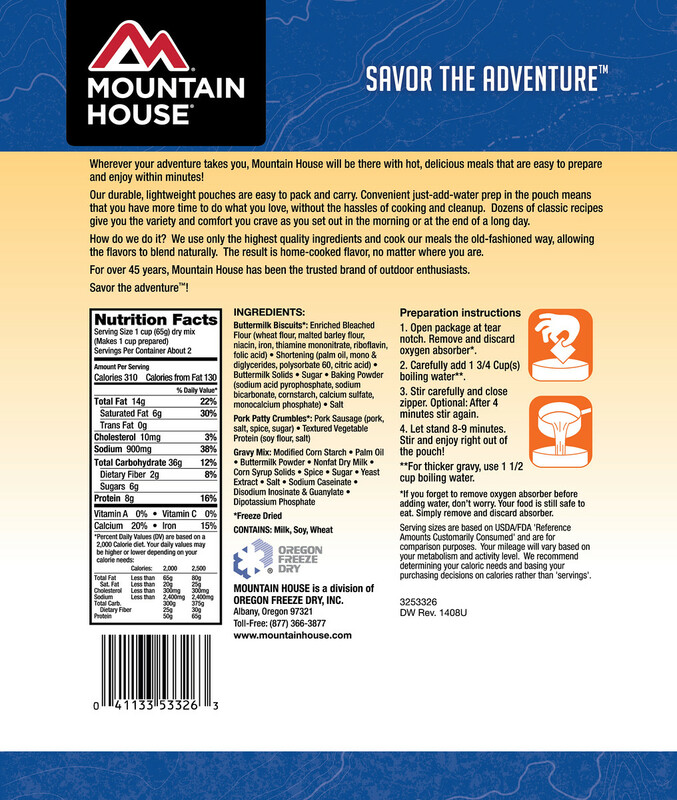 With the longest proven shelf life in the industry and a guarantee to taste virtually indistinguishable from new for 30+ years in pouches and 30+ years in cans, Mountain House is the perfect emergency preparedness or survival food to keep on hand.